New All Life Stage Formula that meets the 2018 AAFCO nutrient profiles for all breeds. 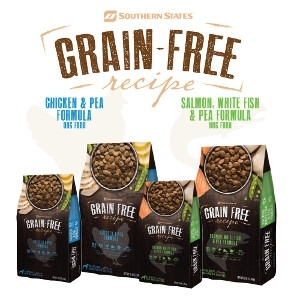 Great new taste from salmon and sweet potato with salmon listed as the first ingredient! Natural antioxidants from fruits and vegetables. New DHA, an omega 3 fatty acid, calcium and phosphorus guarantees for healthy puppy growth. High quality protein from salmon, fish and egg for growth and strong muscles. New source of B vitamins and minerals from Brewers Dried Yeast. Two sources of prebiotics (Dried chicory root and Saccharomyces Cerevisiae yeast culture) for a healthy digestive tract. Balanced omega 6 to 3 fatty acids for healthy skin and a beautiful coat.